The FrameNet database has been used for semantic tagging and multilingual lexicon development. 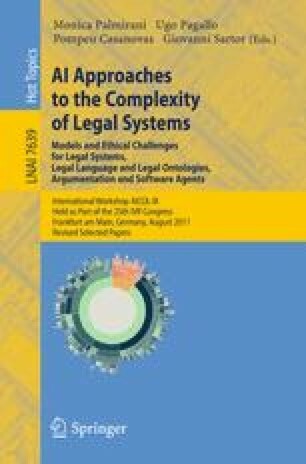 This paper describes the initial steps in the development of a lexicographic project that aims to build a legal frame-based lexicon for the Brazilian legal language. First, we discuss the FrameNet lexical analysis methodology. Second, we present the Criminal_process frame for the Brazilian legal system and the methodology we adopted in the development of this frame. Third, we discuss how FrameNet frames and Brazilian legal frames differ and how the semantic tags developed in the scope of this project could be used for semantic tagging and semantic parsing.